OMG Posters! 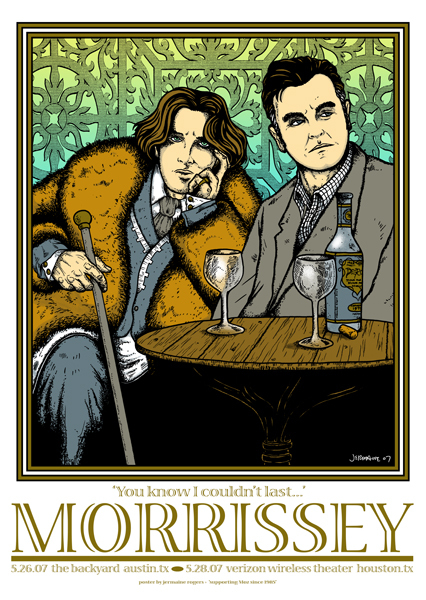 » Archive Morrissey Poster by Jermaine Rogers - OMG Posters! Jermaine Rogers will release the poster he did for Morrissey’s Texas tour dates this Friday, June 1st at 1pm PST. The poster is a HUGE 30″ x 21″ 8 color screenprint. It will be available in a super limited amount, so be on time and visit JermaineRogers.com on Friday.